Provisional results put him ahead of another opposition candidate Martin Fayulu, and the ruling coalition’s Emmanuel Shadary. 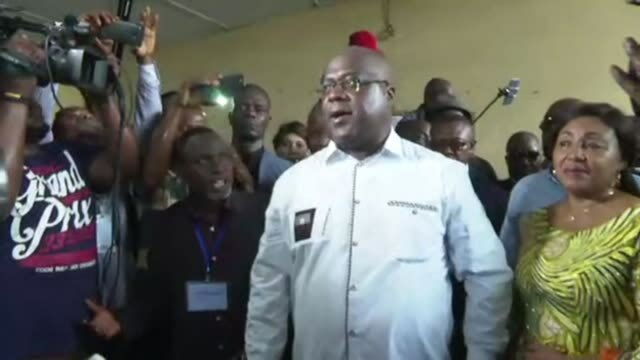 Mr Tshisekedi, who is the son of late veteran opposition leader Etienne Tshisekedi, has promised to make the fight against poverty his priority. The Catholic Church, who had the largest number of election observers deployed, has warned they will reject any results they believe to be fraudulent. Polling at the end of last month was marred by allegations of vote-rigging. The influential Catholic Church, which deployed 40,000 observers during the vote and has been monitoring the polls, warned that there had been irregularities.